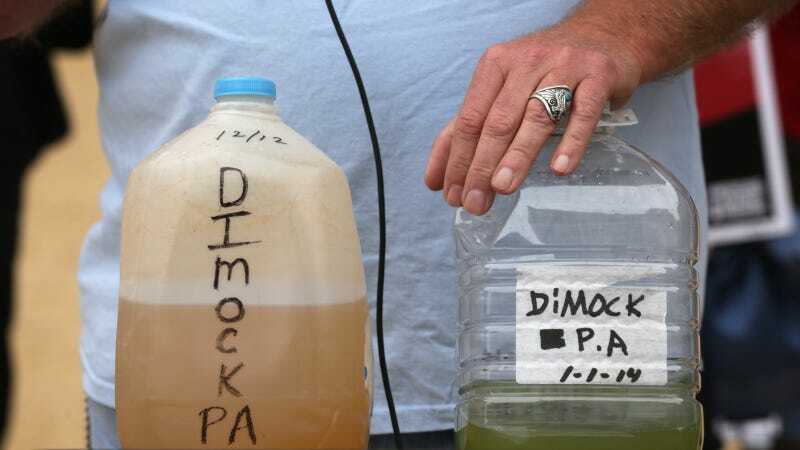 A federal jury has awarded two Pennsylvania couples $4.24 million on after finding one of the largest natural gas drillers in the state polluted their well water, The Associated Press reports. Jurors found that Houston-based Cabot Oil and Gas's drilling activities resulted in methane contaminating the couples' drinking water. State regulators blamed faulty gas wells drilled by Cabot for leaking combustible methane into rural Dimock, Penn. 's groundwater. The town's plight became known worldwide after being featured in the Emmy-winning 2010 documentary “Gasland,” with many complaining of vomiting, dizziness and skin rashes. A state investigation found that Cabot had allowed gas to escape into the region’s groundwater supplies, contaminating at least 18 residential water wells, The AP said. Dozens of plaintiffs settled with Cabot in 2012, but two homeowners opted to take their claims to court. “It’s very important that when a company like Cabot harms Pennsylvania families … that the courts are a sanctuary for people to seek justice,” the families’ attorney, Leslie Lewis, said in closing arguments Wednesday, according to The Times-Tribune of Scranton. In 2015, the EPA determined that fracking activities had the potential to contaminate groundwater, but found no evidence that there was widespread, systemic impacts on drinking water resources in the United States. Stephen Dillard, one of Cabot’s attorneys, argued that the problems in the water wells predated Cabot’s drilling. The Times-Tribune reports the company plans to appeal the verdict.